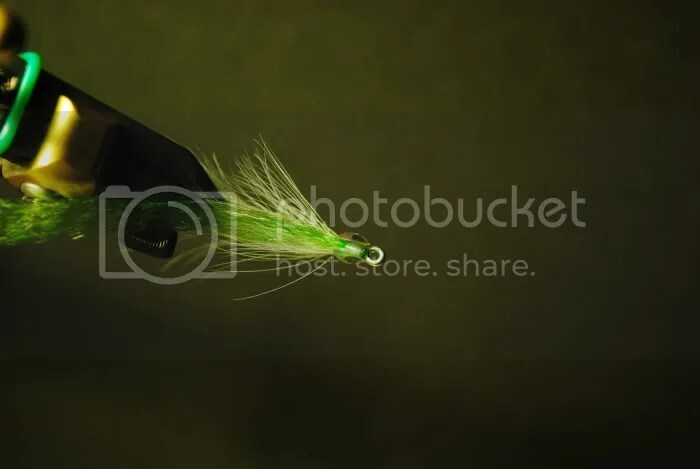 This fly is great for Night time dock Snook. It is weedless, aka “dockless”, by design. Made to resemble a small glass minnow or white bait it’s action is suspending and darting. Downside to this pattern is sometimes multiple fish will fight over it and none will get the hook. Or the problem that I have been having, the Snook eat it so deep that they chew through the 30lb floro in under 2 minutes. 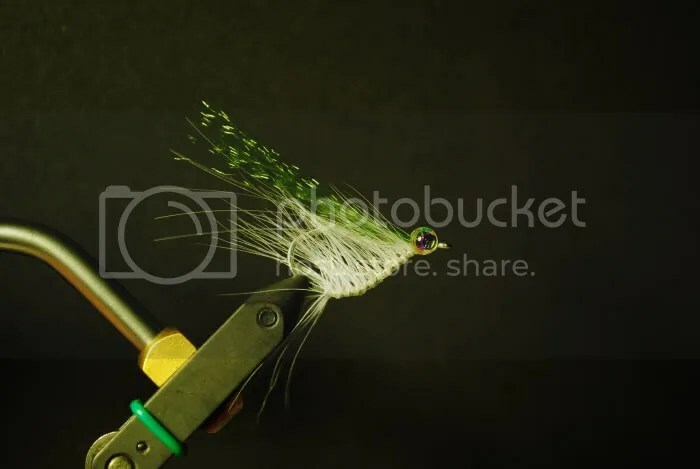 Tricks to the pattern: Use as little thread as possible to avoid bulk in the head. DON’T USE ZAP A GAP. It cooks off at to high of a temperature and makes it so that your adhesive eyes wont stick. Step 1: Using pliers hold the eye of the hook, and a small section of the shank bend the opposite direction of the gap of the hook. 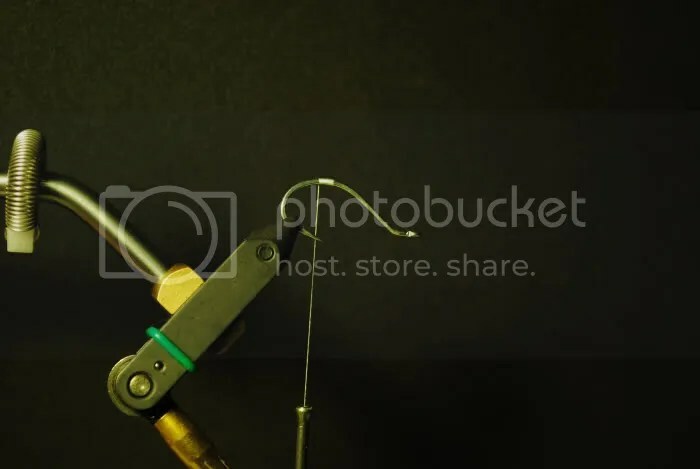 Stop when the bent section is parallel with the barb of the hook. Get it close, it doesn’t have to be perfect. The more you bend the hook the weaker it gets! Think of a paperclip. Step 2: Attach thread just beyond the bend of the hook, and wrap towards the barb. 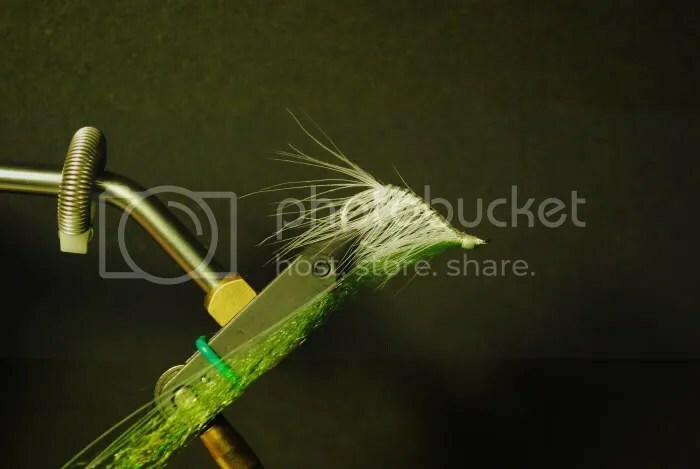 Step 3: Attach your long hackle with the Natural Curve facing towards the hook. 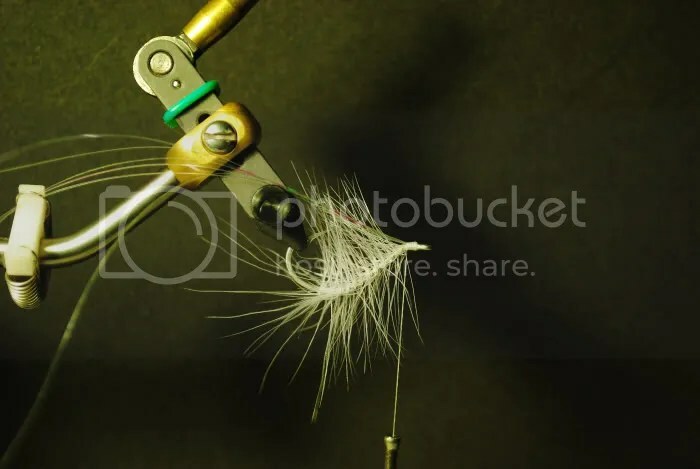 Select a hackle that has a flexible stem or it will break the first nibble. Once secure, wrap your thread forward to the eye of the hook. Step 4: Palmer the hackle forward leaving a little gap between each turn. 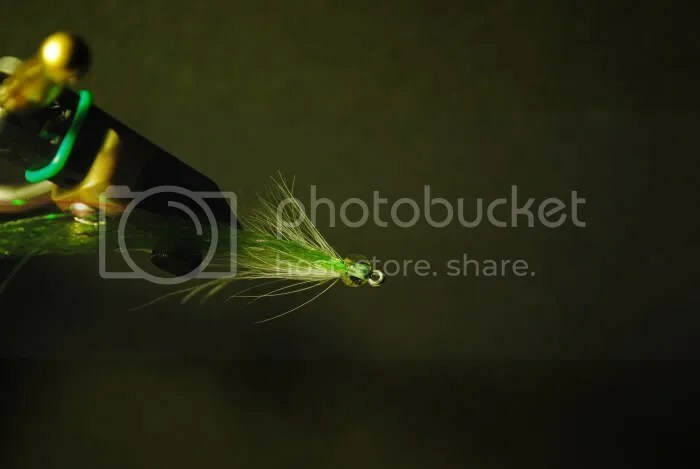 This will allow the fly to keep somewhat of a transparent look like a glass minnow. Secure at the bend of the hook. Step 5: Work your thread to just behind the eye. Attach 3 pieces of Pearl Flashabou. Wrap your thread back to the bend of the hook to secure it to the shank. This will create the lateral line. 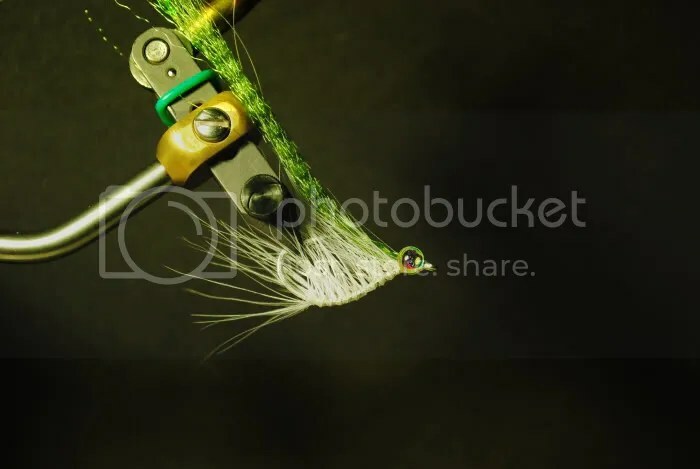 Work your thread back to the eye of the hook. Step 6: Cut a small amount of Green Supreme Hair and attach it just behind the eye using 2 turns. Bend it back and wrap 2 turns on top of the Supreme Hair. Wrap your thread back the same distance as you did with the Flashabou using as little thread as possible to avoid bulk. 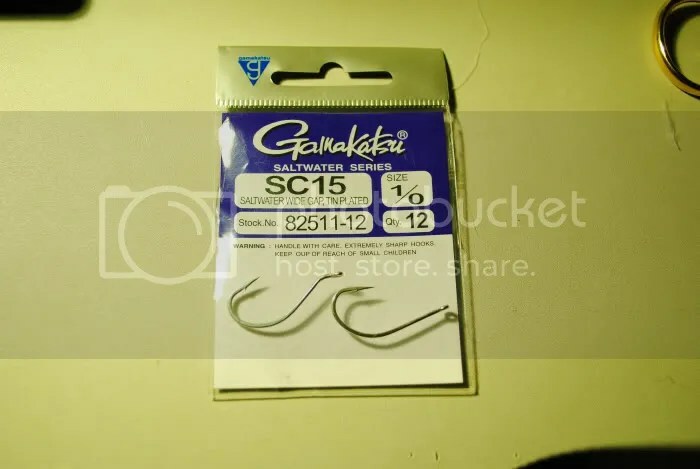 This will insure that your Flash and Supreme hair form a strait line covering the barb of the hook. Whip Finish. Step 7: Turn your fly upside down. 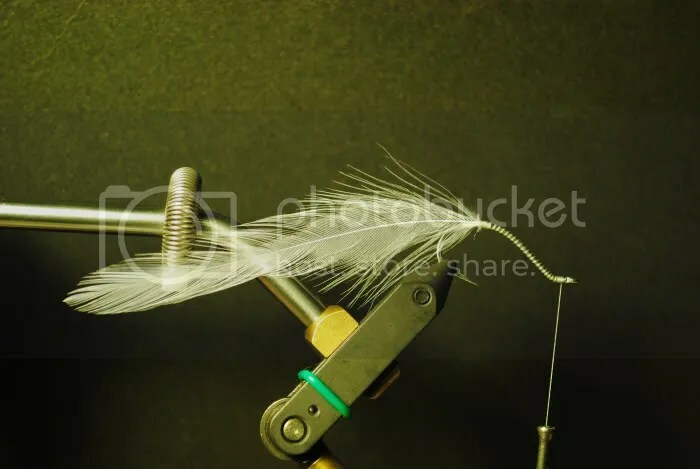 Using the thumb and forefinger pinch your Saddle Hackle and pull down creating the body of the fly. While holding it run a bead of glue (I used hard as nails) down the shank of the hook to secure it in place. At the same time put some on the head of the fly. Hold the fibers until when you let them go they don’t flair out anymore. Step 8: Stick on your eyes. Try to do this while your glue is still tacky. This will help with adjustments. Make sure that they are strait and even. 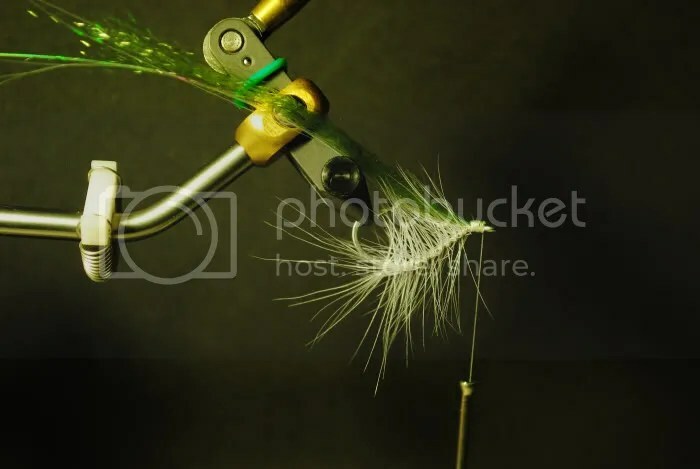 If the head of your fly is too bulky they will not sit right and this will cause your fly to track weird in the water. This is a top shot of the eyes, it shows that they are strait and square. Step 9: Using 5 minute epoxy cover the head of your fly. Use as little epoxy as possible, and avoid getting it in your fibers. Make sure you epoxy over the eyes or the Snook will knock them off. Place on epoxy turner or just spin it in the vice until it cures. 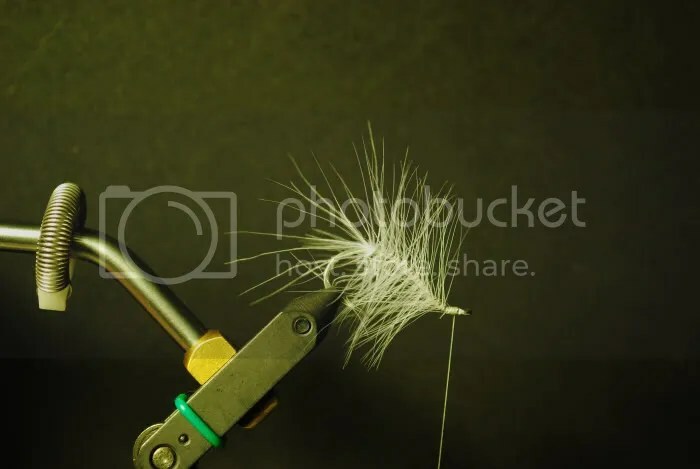 Step 10: Trim your Supreme Hair to a little longer than your hackle fibers. And your fly is complete! Tie a bunch, you will go through them. What you used to loose on docks you will start loosing in fish. Take a minimum of 6 with you on all trips.